Between school and work, kids' activities and appointments, you and your family keep a busy schedule. For this reason, you might prefer to spend your downtime at home instead of on the road. But despite what the kids might say, sticking around home doesn't have to be boring - and we can prove it! If you and your family have opted to stick around Calgary this summer, we have a few great ideas to make your staycation one to remember. Backyard camping is a great way to introduce your children to the outdoors while keeping home close by. Just set up a tent in the backyard, light a campfire, and make sure you have plenty of s'mores and other tasty goodies on hand. Throw in a few scary stories and you have an experience your children will never forget. Sometimes it can be nice to just load up on a raft and take a lazy float down a river. The Elbow River is perfect for this. 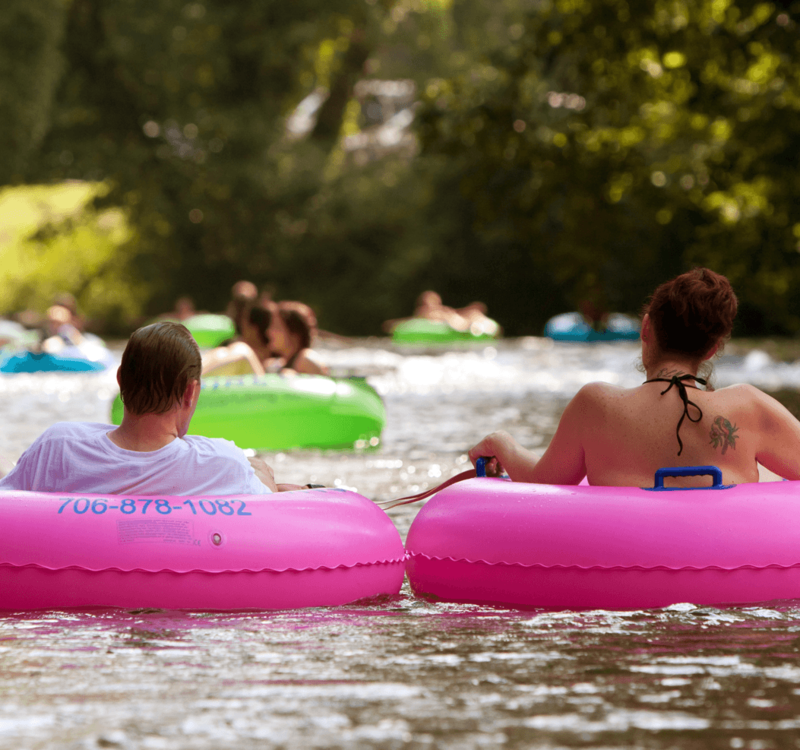 If you want to check out some different locations, there are plenty of other floating options for families around the city, so load up your big yellow raft and have a great day out on the water. Here in Calgary, we're lucky to be surrounded by national parks and forested areas. So why not take advantage of them?! Head out backpacking or hiking for the day. This is a great way to get away from everyday life and get closer to nature. 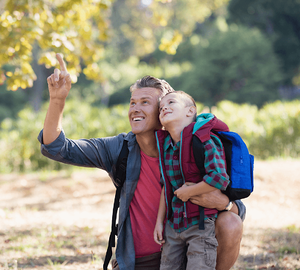 In order to make your hike suitable for the whole family, make you choose a beginner trail. Be prepared for whatever you may counter by packing plenty of food and water and bring some rain gear. Some of the most interesting experiences are just outside our own backyard. Most people never explore the cities they live in, even if there's a lot to see and do. Take a day and explore your Calgary as if you were a tourist. Check out the Calgary Tower, Heritage Park or the Glenbow Museum. You could even check-in with your local tourism agency and see if there are any sites and attractions you don't know about. Cobb's Adventure Park is a great way to have fun without going too far from home. You and your kids will get to see a few unique animals, and you might even have the chance to pet a wallaby. If you want to add a bit of mischief to the trip, go to the corn maze and set out in different directions. Make it a race to see who can find their way out of the maze the fastest. Calgary is bustling with roadside fairs this time of year. See if you can find any pop-up fairs nearby in local mall parking lots or other areas. Another option is Calaway Park, which is just a short drive to the west and a fantastic way to spend the day. Look for any admission discounts you can qualify for or visit the park on a day when they're holding a special event. Enjoy a day full of fun without breaking your budget. There is something undeniably fun about sleeping in a hotel. Your kids will love it! Find a hotel near you, and make a day of visiting it. Eat dinner in the hotel's restaurant, take a dip in their swimming pool, and then retire to your room to watch movies in bed and maybe order breakfast in bed the next morning. Kids love Easter because they enjoy exploring and finding treats and prizes. You don't have to wait for April to come around to get them that same experience. Take the time to set up a kids scavenger hunt. Five to seven clues is about the perfect length. Start your kids off with the first clue, and leave the next hints for them to find at each destination. When they finally reach the end of the hunt, make the surprise something worthwhile that they'll enjoy, like tickets to a new movie. You don't have to spend a lot of money to have fun. Set aside one day during your staycation to have a movie night. Let everyone vote on what film to watch, make a big bowl (or two!) of popcorn, and settle in for a few hours of entertainment. If you want to make it an even bigger event, rent a projection system and invite your neighbours to come over and join in the fun with you. Staying at home instead of going on an extended vacation can be just as fun, and often more relaxing. If you plan to have a staycation this summer, try a few of these activities to keep things exciting.